SVS Prime Wireless features WiFi and Bluetooth connectivity along with smart speaker control from any compatible mobile device for immersive, reference quality sound. 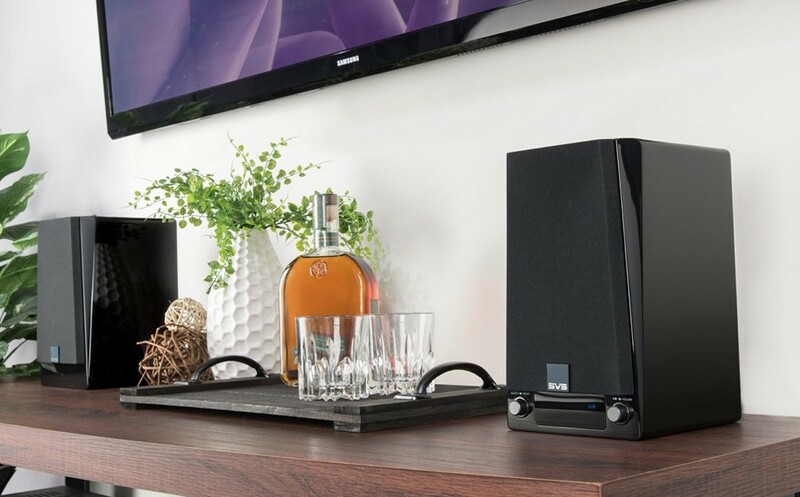 - Dimensions (HWD): 10.24" x 6.10" x 7.21"
SVS Prime Wireless Speaker System combines immersive, reference quality sound with smart speaker control and future-facing connectivity. 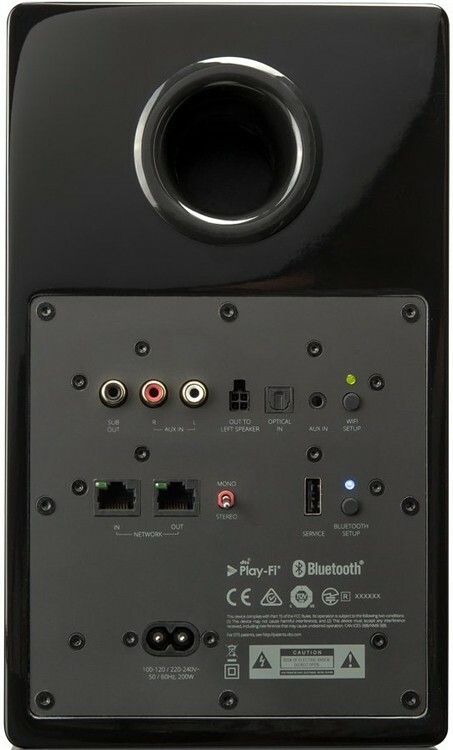 Equipped with both WiFi and Bluetooth connectivity and the ability to control from your smartphone or any mobile device, it offers true stereo separation, a massively powerful internal amplifier, a high-resolution 192kHz/24-bit DAC and a precisely tuned digital crossover for sound quality that’s miles ahead of any other smart wireless speaker available. 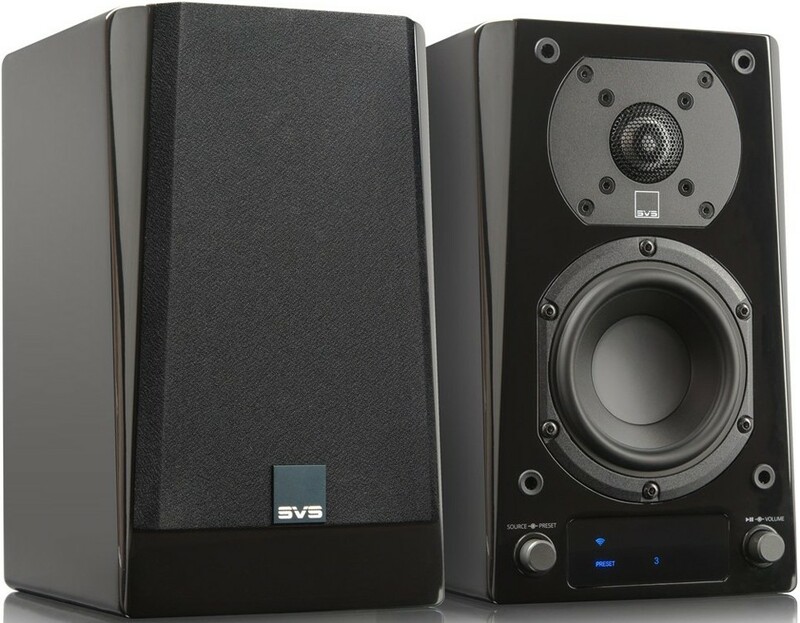 A perfect fusion of intelligent control, endless versatility, future-facing connectivity options, and most importantly, immersive, reference quality sound; the SVS Prime Wireless Speaker System delivers all the benefits of a powered wireless smart speaker with uncompromising acoustic design and performance. Spotify, Pandora, Amazon Music, SiriusXM, Internet Radio and all your favorite streaming content can be accessed and controlled from a smartphone or mobile device to create a simple and seamless total entertainment experience. SVS achieved reference quality sound by giving the Prime Wireless Speaker System true stereo separation from an active-passive speaker pair, a massively powerful 200-watt four-way internal amplifier, a sophisticated 192kHz/24-bit DAC and a brilliantly tuned digital crossover. 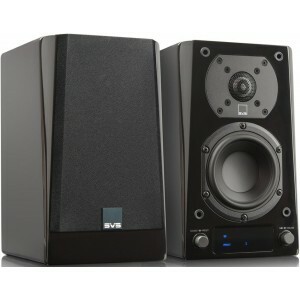 Wireless audio is no longer just for background music, this is the sound quality that begs you to turn it up. Magic happened when this uncompromising acoustic design was combined with WiFi and Bluetooth connectivity, convenient front panel presets, multi-room/multi-zone playback and advanced connectivity options that let it play with nearly any device. Now, you can enjoy streaming services, Internet Radio, podcasts, audiobooks, and all your favorite playlists and downloads, with audiophile quality sound. The Prime Wireless Speaker System presents an accurate and convincing stereo image from a true 2-channel active-passive speaker pair with crisp dynamics, neutral voicing, a massive soundstage and powerful dynamics. Compact “all-in-one” wireless speakers with virtual stereo output do music an injustice because they lack the ability to render pinpoint imaging where instruments, voices and sound effects are heard emanating from a specific location in space. With true stereo separation, Prime Wireless delivers a more immersive experience, no matter what the content or volume level. Commanding Class-D amplifier delivers 50-watts to each driver for effortless power and room-energizing dynamic impact with revealing clarity, even at reference volume. Pristine Sound Quality maintains complete faithfulness to the source material so music and all audio content sounds precise as the artist or producer intended whether a user is streaming from Spotify, watching a Blu-Ray, listening to a podcast or anything else. DTS Play-Fi app control lets you access music streaming services and audio content from any smartphone or tablet via WiFi and distribute it throughout your home. Dual-Band WiFi enables uninterrupted Wireless Streaming and Direct Access to All Your Music. DTS Play-Fi app enables direct connection to Spotify, Pandora, Amazon Music, XM Radio, Tidal, iHeart Radio and all the top music streaming sources as well as your personal playlists. 6 custom presets for instant access via WiFi to your favorite playlists, Internet Radio stations, and streaming music services without needing a phone or tablet. Voice control of music from any Alexa device on your WiFi network is as simple as “Alexa, play reggae in the living room” and you can adjust volume, skip track forward, mute, pause and stop the music. Line level connections let it play with nearly any device in your home while delivering crisp and accurate sound with stunning dynamic impact. With the included Play-Fi app, Prime Wireless can easily be used as a smart wireless music zone in a whole-home, WiFi-based multi-room audio system. Play different music in different rooms or play the same music everywhere using your WiFi network and control it all from your handheld devices. Bluetooth with aptX and AAC for the highest fidelity wireless streaming from iOS or Android smartphones or tablets. Connect directly to a computer to create a desktop audiophile system. Optical and line-level inputs for high fidelity sound from TVs, gaming consoles, CD players, AV receivers, turntables and more. USB port for charging mobile devices or adding an SVS SoundPath Wireless Audio Adapter to make your subwoofer connection fully wireless. Subwoofer output allows easy connection to your favorite SVS or another brand of subwoofer for deeper bass and a more-thrilling and immersive experience. 1” Aluminum Dome Tweeter and High-Output 4.5” Midrange Driver utilise lightweight yet stiff driver materials to deliver an airy and unveiling sound with pinpoint accuracy, crisp speed in transients and room-energizing dynamic output.